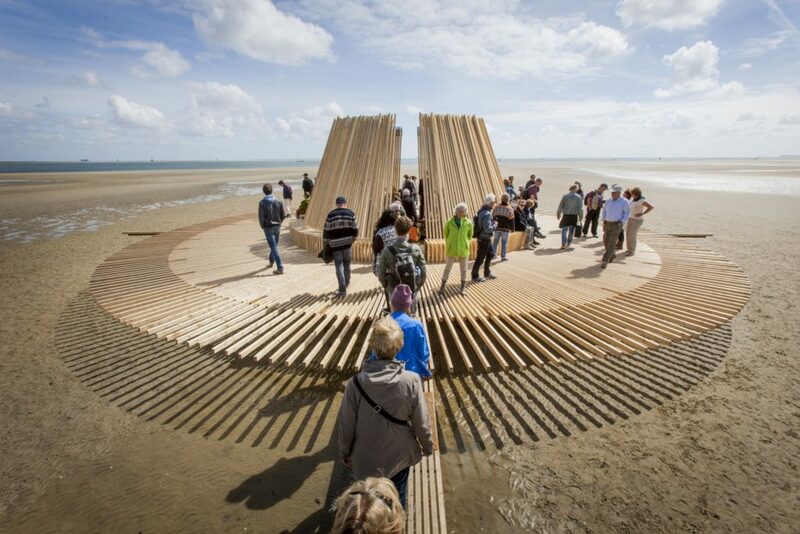 De Streken is a wooden structure created by the visual artist Marc van Vliet that changes with the tides. The artwork is ‘illuminated’ from three compass points through three large standing mirrors, placed kilometres away, which reflect the sun. 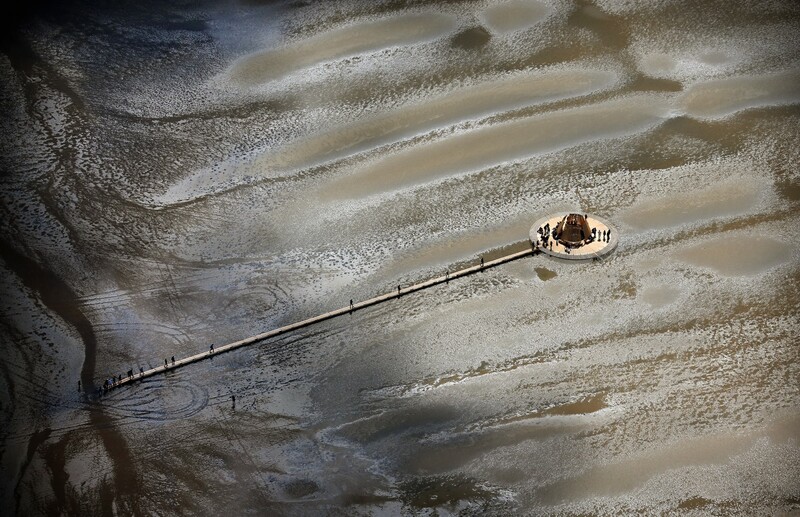 Based on the sun and the tidal forces (and the moon), the artwork’s form change with the tide. This almost imperceptible variation occurs twice a day. 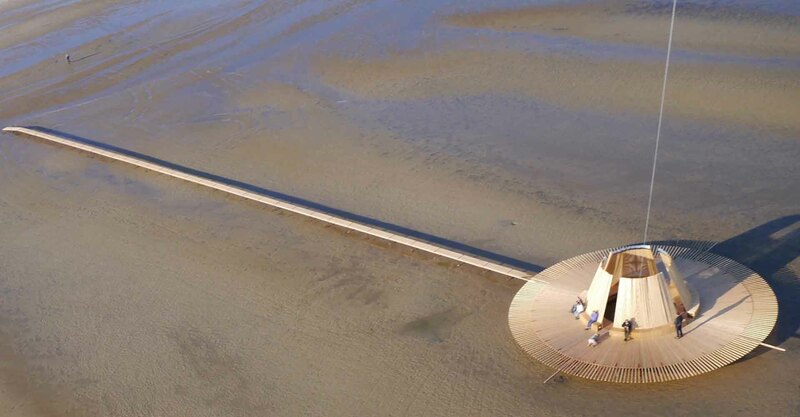 Visitors will be able to reach the wooden artwork on foot: during ebb across the mudflat, and during tide across the 100-metre-long pedestrian bridge. It is a meeting place that offers a different perspective on the vastness of the Wadden landscape by the hour and the day. The visitor’s gaze is directed outwards during the ebb tide, and inwards during the flood. 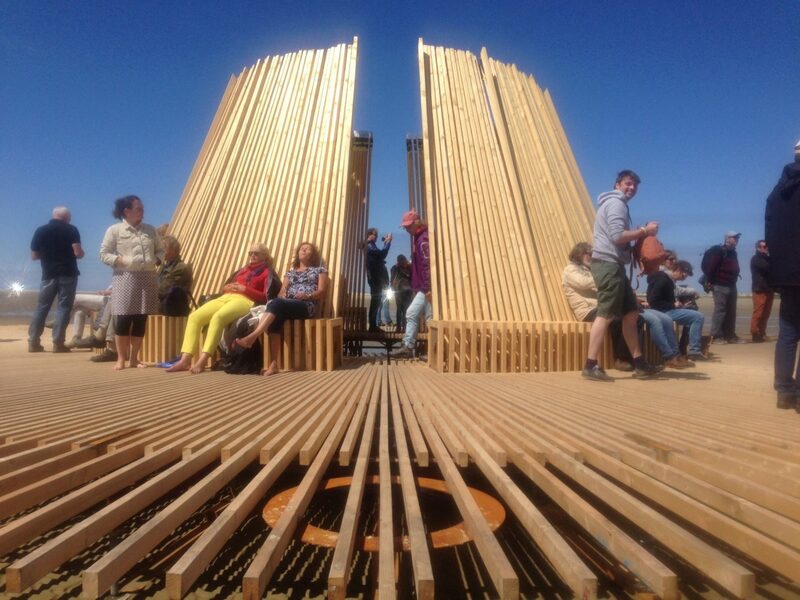 A rough version of this artwork was displayed at the Oerol festival in 2015, and it has since been further refined and adapted so it can be set up in different parts of the Wadden Islands. Born in Den Bosch in 1961, this visual artist, theatre producer and designer is a resident of Overschild in Groningen province. Self-taught in several disciplines and having started out as a designer, Van Vliet has risen to prominence over the past 17 years mainly through the location performances and installations of the Tuig theatre group with which we has been affiliated, which are characterised by a hybrid of images, motion and sound. In recent years, he has tended to focus on landscape installations.